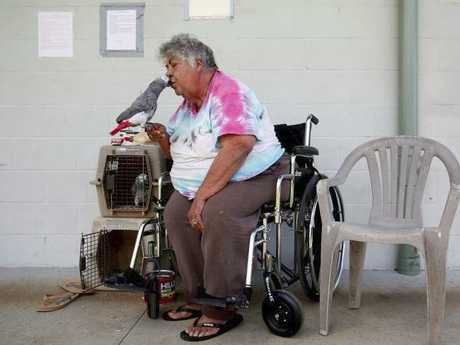 Many were reuniting with their owners at evacuation shelters. 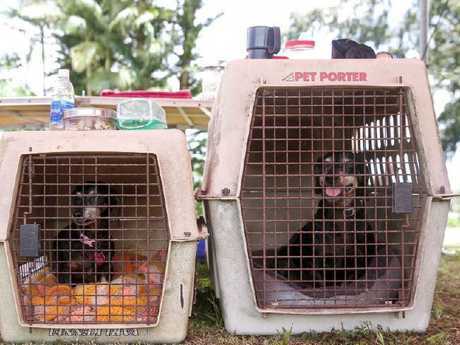 The animal-friendly Red Cross shelter in Pahoa, a town about 40km east of the volcano, has about 100 dogs and 30 cats, along with bunnies, birds and pigs, said Burgandy Singleton, a Hawaii Island Humane Society volunteer. "Quite the crazy farm right now," Ms Singleton said. Some of the owners are camping outside with dogs who are not socialised, she said. "It gives them a sense of home and keeps them as peaceful as possible. 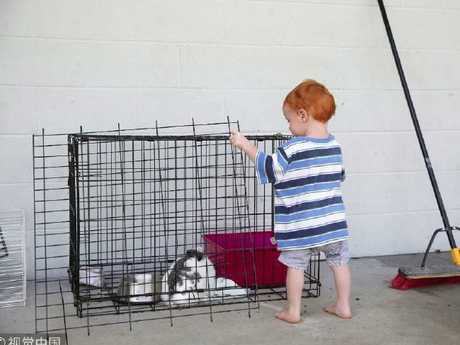 This is definitely stressful on the pets as well as the people." 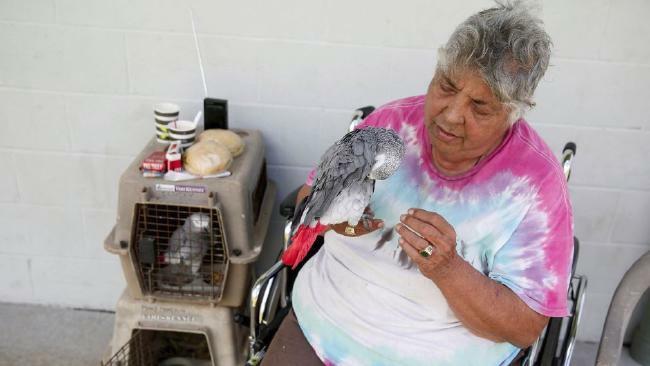 "Ideally, we take the owner back in so they can hear a familiar voice and we can hand-trap them," rather than luring them into cages, Ms Singleton said. At another animal shelter at the county parks and recreation gym in Pahao, tents have been set up inside to give families some privacy and keep dogs away from each other, Ms Singleton said. A donation table at the entrance was piled high with bags of dry dog and cat litter. "This is the reason I live in this community," Ms Singleton said. 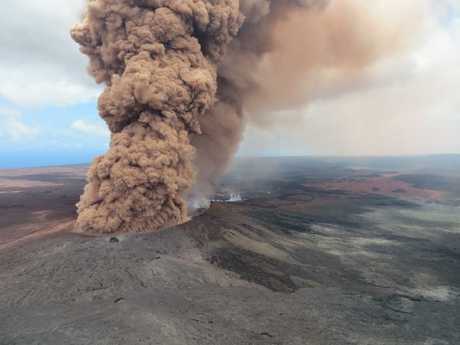 "The offerings and the help has been unbelievable." Rescue groups have moved more than 1300 head of cattle and three dozen horses, some of which have been herded to a ranch to the north, out of danger. The livestock are even more jittery than the house pets, Ms Singleton said. 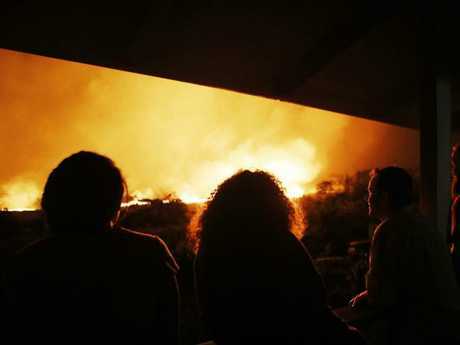 "From the earthquakes to the smoke and lava to the helicopters overhead, they are just spooked." Ms Singleton said it was important for pets to stay with their families. "They both get something from it. Sometimes they have lost every single thing they own other than that dog or cat. It's the one piece of home they still have, the one piece holding them together. And the pets feel the same way."